[EAN: 9781333202149], Neubuch, [PU: Forgotten Books], New Book. Shipped from US within 10 to 14 business days. THIS BOOK IS PRINTED ON DEMAND. Established seller since 2000. 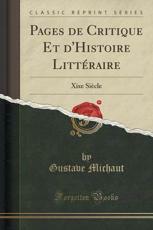 [EAN: 9781333202149], Neubuch, [PU: Forgotten Books], This item is printed on demand for shipment within 3 working days.